At Anatolia we recognize the interrelationship between environmental, social and governance practices and their impact on the local community in which we operate. We channel our core values and the capabilities of our team to positively impact these communities and influence change while creating value for our clients, partners and shareholders. We’ve always believed that businesses can – and should – have a positive impact on the communities they serve. Below are just some of the examples of our support through charitable giving and community service. In recognition of this transformative gift, the Surgical Waiting Room at the new Mackenzie Vaughan Hospital will be named in honour of Anatolia Tile + Stone. This room is located in the Sears Cancer Clinic at Sick Kids Hospital (8th floor) and used by every child patient coming to the clinic to provide a blood sample. This room is un-affectionately called “the poke room”, hopefully with this new design of “Landmarks From Around The World”, patients will have somewhat positive experience. In support of the Sick Kids Foundation, Anatolia Tile + Stone is a proud corporate sponsor, having donated $500,000 to help children with cancer and support pediatric brain tumour research. 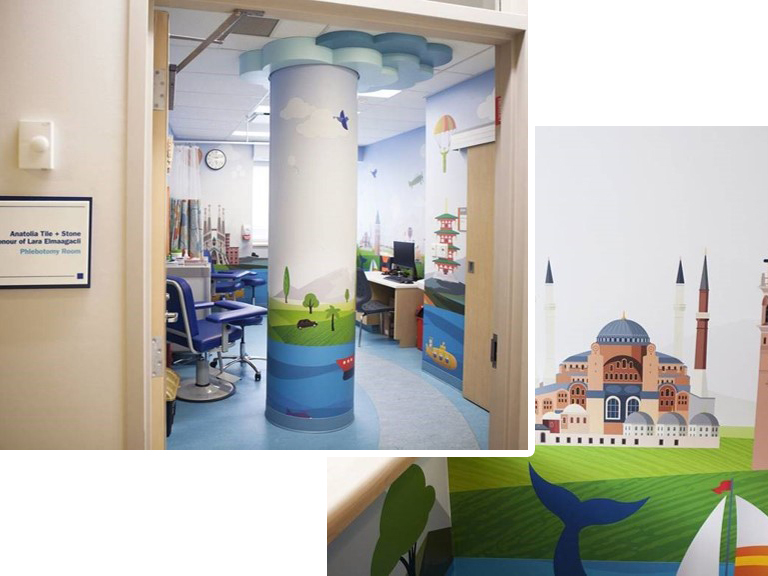 The Resource Centre at Sick Kids Hospital in Toronto has been named the Anatolia Tile + Stone Resource Centre. Anatolia Tile + Stone has supported Camp Ooch for a number of years. 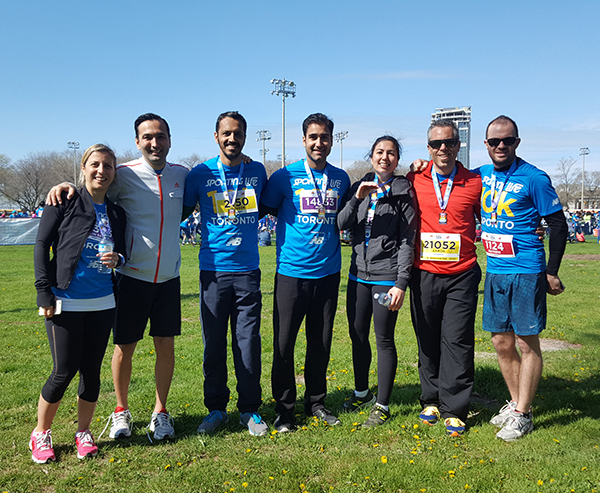 We were proud to be the second highest contributor of fundraising donations in support of the 2017 Sporting Life 10K Race in support of Camp Ooch for Children with Cancer. Camp Oochigeas provides children with and affected by childhood cancer with what they need most – the chance to be a kid. Camp Ooch is the only residential camp in Ontario to offer on-site IV chemotherapy and blood transfusions providing access to campers in active treatment friendship and fun. We are training hard to participate in the upcoming 2019 race! 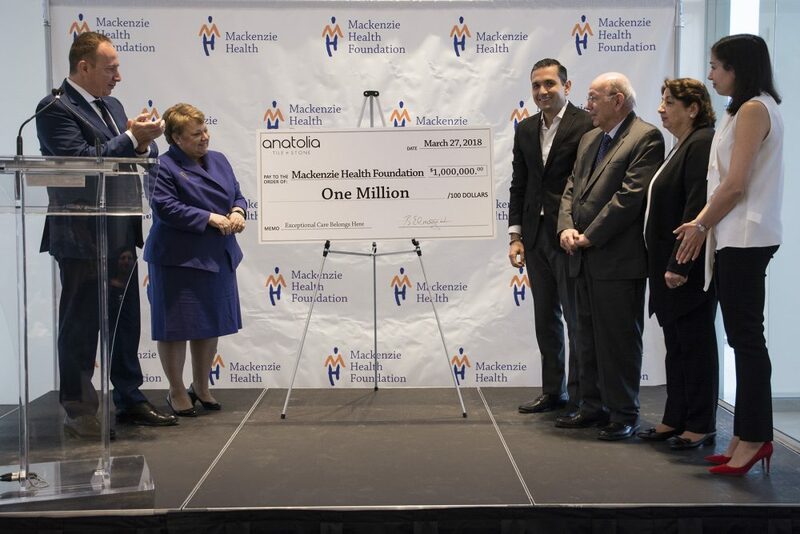 Anatolia was incredibly proud to donate $250,000 to the Sunnybrook Hospital Foundation in 2016. Sunnybrook’s reach goes well beyond the GTA and is a global force in developing leading care for neurological disease. Our gift helps Sunnybrook Health Sciences Centre continually invest in the future of health care for the 1.2 million patients the hospital cares for each year through the dedication of its more than 10,000 staff and volunteers. An internationally recognized leader in research and education and a full affiliation with the University of Toronto distinguishes Sunnybrook as one of Canada’s premier academic health sciences centres. As a leading manufacturer of ceramic and porcelain tile, Anatolia Tile + Stone regularly donates product to help support our local Habitat for Humanity to build quality home for low-income families. Over the years Anatolia has donated enough tile to help build dozens of homes across the GTA. We are extremely proud to provide regular support an organization which helps families establish roots in our community.